I have a new favorite Michigan trail. Well, a second favorite. Nothing beats the Grand Portal Loop on the south shore of Lake Superior, but for Michiganders who want to give the Mitten some love, Manistee River Trail is an excellent hiking spot. 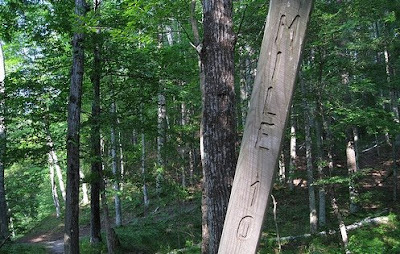 The Manistee River Trail in West Michigan parallels nearly 11 miles of the eastern edge of its namesake river between the Seaton Creek and Red Bridge trailheads in Manistee National Forest. A product of the Great Depression and FDR's New Deal, the land which is now home to this mixed woods was once logged to an all but barren wasteland. 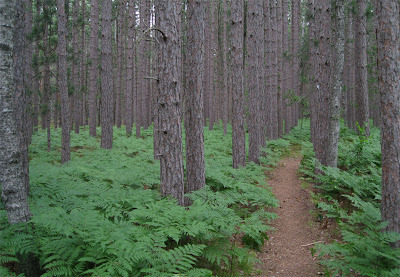 The Civilian Conservation Corps re-planted the area, and in 1938 the Manistee National Forest was born. 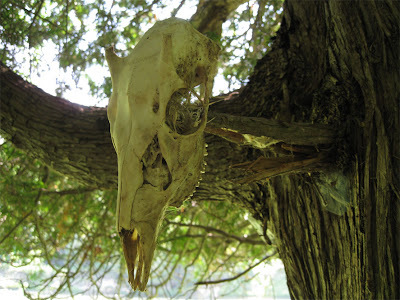 Depending on what one reads, the name Manistee could be derived from either the Native American Ojibwe or Ottawa language and is thought to mean “The whispering through the pines”. The out and back nature of the MRT (10.6 miles one way) creates a logistical challenge. For those who have the time, the North Country Trail runs along the other side of the river and can be incorporated to create a much longer, multi-day loop. 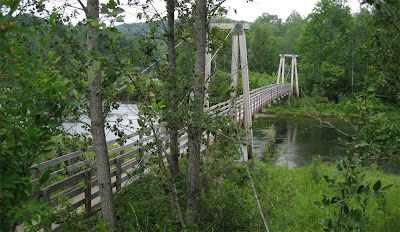 A very interesting walking bridge, aptly named 'Little Mac', spans the river near the northern end of the trail for this very purpose. Alternatively, having a car parked at both ends would be ideal since it appears that none of the nearby canoe liveries will take bribes to spot cars for day hikers. Having a crazy hiking partner who comes up with an insane Plan B for car retrieval also works when circumstances are dire. More on that later. With many trails, the scenery is the main attraction – mountains, valleys, waterfalls, etc. With the MRT, the trail itself is the object of interest. 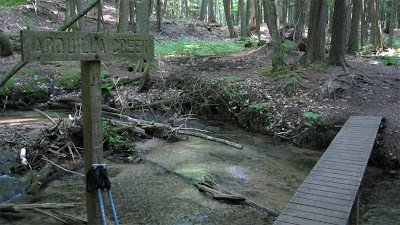 Hikers follow a path which often hugs the ridge along the Manistee River, which bends and snakes alongside. Truthfully, the view of the river in this area isn't particularly stunning. The water is muddy in appearance, and the banks do not stimulate much excitement with their sandy slopes and grassy ridges. 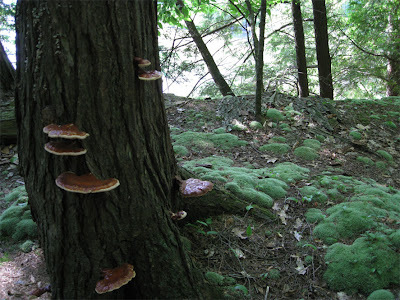 However, the forest provides much in the way of enjoyment for lovers of the trail. The variety of evergreens and hardwoods undoubtedly paint a stunning picture in autumn, and dozens of small streams trickle across the trail on their journey to the river. 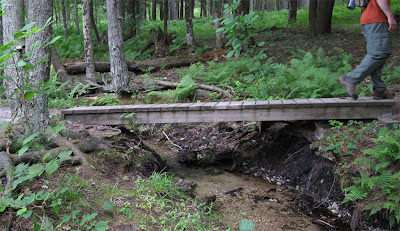 Simple foot bridges protect the banks and make it easy for hikers to cross these obstacles. Campsites are sprinkled along the trail, some legitimate, others created by those who have rebelled against the establishment. These being backcountry sites, fire rings have been conveniently provided, but there are no outhouses and no potable water. Be prepared to filter from streams (I collected some extra water from a creek when my camelbak started to get low and just put a purifying tablet in it) and utilize essential hole-digging skills if spending more than a day on the trail. My husband Craig and I spent 6 hours hiking just under 11 miles from one end of Manistee River Trail to the other. The terrain is hilly, and could be considered moderate, maybe on the difficult side of moderate, for those in less than good shape. The last mile included a gruelling, uphill trudge through sand, and we were both exhausted when we reached the opposite trailhead. I got my first mosquito bite of the day here, amazingly. Upon reaching Red Bridge, Craig unlocked his single speed road bike from the small tree we had secured it to and rode back 7.5 miles on the (mostly dirt) roads to Seaton Creek to pick up the car. Though I had fought against this idea, in the end no other options presented themselves. Under normal circumstances, 7.5 miles on a bike is easy; however given our weakened state, I was impressed that he didn't hallucinate a hammock in the shade, have a head-on collision with a deer, and lose consciousness along the way. We must come up with a better plan for next time. What a great death march !! In the fall that trail would be stunning. I leave for Nova Scotia tomorrow. You had best blog your trip to Ilse Royal!!!!! This has always been on my list. A better plan would leave little to imagine. Craig what's up with the single speed? Way too much work. Love this trail!, have done it twice most recently this past June with my 12 year old daughter, I would recomend the full loop, can be done in a weekend and if you fish, provides great oppertunities to soak a line. We planned to go back this fall, but time has escaped us. We may come back and do the loop in the spring. I would also love to see it in winter, but I don't know if I'm up for an 11-mile showshoe. I might have to take up winter camping so I can split it into 2 days. If you get out, have a great time and i'll look forward to your posts. We had this trip planned in Sept. 09 but weather foiled it. We planned to hike the MRT to the bridge with a canoe waiting and float the river back to the car. Hope to do the trip this year. Easy 2 1/2 day trip. I ran this posting randomly via Google and since we were just out on the trail, I thought I'd comment. We've done this trip with kayaks and a bike ride to retrieve the car in the summer (we used river road on the west side of the river for launching and riding back to the car). If you were harder-core you could ride the North Country Trail back on your bike (it's a very nice mountain bike trail--but fairly strenuous). This past weekend, though, we were out on the snowshoes. We did about 6 miles out and back from Red Bridge on Saturday, and it was great on a beautiful sunny winter day. So highly recommended in the winter, too. We did see a couple out on skis, but given the terrain, snowshoes seem like the better option. Mark - Thanks for your comment. I would love to see this trail in winter. How long did it take you to go 6 miles out and back? We have also combined this trip with kayaks to get back to the car. Great trip! This spring we plan on doing the kayaking first. Leaving the car at sites 1 or 2, kayaking to red bridge for an overnight stay. Lock up the boats in the morning and hike back to the car! Can't wait! We have done this trail a couple of times and will be doing it again in a couple of weeks. Absolutely love it and your photos and blog are a perfect commentary. 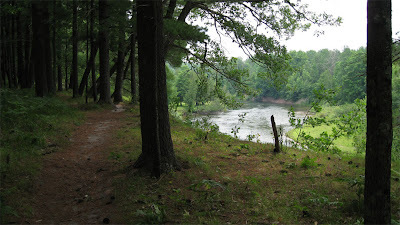 I have heard about this trail before and found it as I was googling Manistee river... I am planning on heading up there in a couple of weeks for a 3 day canoe trip. Thanks for the report--I saw you've done Isle Royale. In 2004, I spent 7 days on the island--covering some 75 miles--it's beautiful.